Insurance company John Hancock and behavior change platform Vitality today released information on a study by RAND Europe of over 400,000 people in the United States, United Kingdom, and South Africa. The study concluded that those who wore an Apple Watch and participated in the Vitality Active Rewards program averaged a 34 percent sustained increase in physical activity, compared to those without an Apple Watch. Specifically focused on U.S. users, the study found significant improvements in levels of physical activity, including an increase in the number of active days by almost 31 percent, and an increase of high-intensity activity days by 52 percent. Participants with high levels of inactivity and body mass index improved more than other groups in the study with physical activity boosted by 200 percent in the U.S. for these individuals. Additionally, John Hancock Life Insurance customers will now be able to get the Apple Watch Series 4 for as low as $25 through regular exercise. The program mirrors previous incentives that encourage insurance customers to engage in physical activity, reaching goals that earn them points to reduce or eliminate their monthly payments for the Apple Watch over a two-year period. Customers have to pay a $25 initial fee (plus tax) when signing up for John Hancock Vitality PLUS. Afterwards, when they exercise they will earn Vitality Points that discount the total cost of the device. If they earn 500 Vitality Points per month for two years, no additional charges will be required for the Apple Watch Series 4. "There is natural alignment between consumer health and longevity, and our goals as a life insurer. This type of shared value is good for everybody," added Brooks Tingle, president and CEO of John Hancock Insurance. 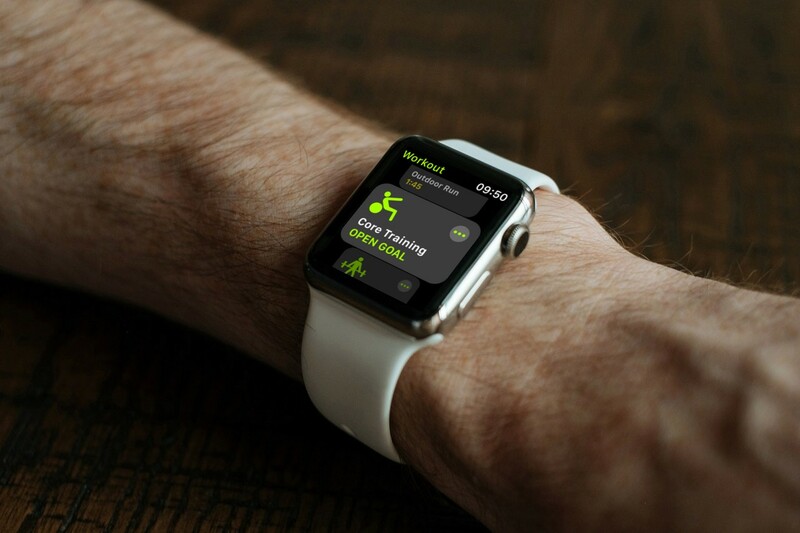 "The Apple Watch has been an extremely popular and effective component of our program to date, helping our customers not only live healthier lives through better exercise and mindfulness habits – but also improve their financial wellness through the rewards our program offers, including lower premiums and discounts from some of their favorite national retailers." Apple Watch Series 4 is Apple's latest wearable device, featuring a new design with a slimmer body, 30 percent larger display, and electrical sensors for taking ECG readings. The ECG feature is not yet live yet, but we now know that it will be enabled on Apple Watch Series 4 in the publicly released version of watchOS 5.1.2. It's a win win for both, consumers who opt in to do this and the insurance that has healthier customers. As someone who laughs at people who are vocal against data mining but collect all kind of miles, bonus points, loyalty rewards and cash backs I would welcome my insurance to offer something like this. As long as it is optional. That’s a level of intrusiveness I definitely don’t need. I’ll pay for the watch myself. Agree. This isn't about goodwill or getting a watch. This is everything about the insurer generating data and analytics en masse for future revenue opportunities. Wow. This is very interesting. The life insurance is slightly cheaper than the plan I have now. Getting a free Apple Watch may just make it worth signing up. Will have to look into this company. To me, I think it’s a win-win especially if you already have a healthy lifestyle and you are willing to share limited health data (steps, active calories burned, mediation minutes, and weight). One thing that I see as a benefit that is not spoken about much is that you can actually get another Apple Watch after the 24 month installment plan is satisfied. I see this as my Apple Watch upgrade program. I actually enrolled in this plan earlier this month and am still waiting for my watch to arrive. I read through all the fine details. Thanks for the info. I talked to the company and filled out an app, but they couldn’t give me a clear answer on some things (big surprise). It looks like the free watch is for a Sport 40” (the smaller one). Did you upgrade yours or get the basic. If you upgraded, how did they determine the upgrade price? The guy I talked to said he thought you would pay the full difference between the base model and the one you want up front. Hey, I apologize for the super late reply. Didn’t see the notification until now. You are right. The Sport 40mm is the version you get for $25+tax. Essentially, the “upgrade fee” is the difference of $374. For example, the Sport 40mm is $399, but John Hancock will subsidize $374, that’s why you pay $25 plus tax. The Sport 44mm is $429 minus $374 (JH credit) = $54+tax (your cost). The 44mm stainless steel is $749 minus $374 = $375+tax. The $374 is the subisidy John Hancock provides upfront so that you have to workout 500 points per month to get the $15.50 credit per month for 24 months. To gain points for workouts, you have to satisfy either step requirements for the day or active calories burned. For me, I have to burn either 500 or 750 active calories, to get 20 or 30 points, respectively. How do they measure the activity of those without an Apple Watch? A survey? I can’t imagine that would be as accurate as the data from an Apple Watch. If you have UHC (United Health Care) insurance you should have that option soon, as they also will buy an Apple Watch provided you allow them access to the data. I have no intention of allowing any insurance access given both today’s lack of oversight on who and how much access insurance companies are given to share data, and the likelihood that pre-existing conditions will once again be permitted to deny health claims. The data is being pulled directly from the Apple Health app...data you’re already storing locally on your phone or on iCloud. I’m ok sharing my workout data. We already share our data so much already even with things we have no clue about (Facebook, Google Maps, etc). It’s the world we live in now. I don’t see storing data locally on my phone as comparable to giving it to an insurance company. Facebook, or for that matter any company that has reasons to collect data on current or potential customers, does not only have access to the data that they have collected about you. A lot of companies collect and sell information and it all can be linked to you. Some of that data, like city registry are public and probably do contain your name and address. If you’ve ever filled out some contest then your name, age, perhaps things like marital status, number of kids, own or rent a dwelling etc are all for sale, as is your credit history and rating. You don’t own that information and there’s no legal requirement that companies fix erroneous information. Do you have to satisfy step counts daily or is it like a daily average for the month?